Maine has a selection of cross-country ski areas that offer a variety of trails for any level, from beginner to the most experienced. The variety of alpine trails and beautiful scenery make Maine a wonderful cross-country ski vacation destination. Ask us about Maine X-Country Ski Vacations or share your Maine cross-country ski trail comments. To feature your Maine business contact us. Discover Maine Cross Country Skiing by region. 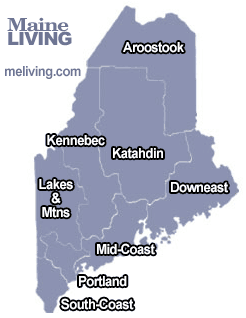 Aroostook, Downeast, Katahdin, Kennebec, Lakes, Mid-Coast, Portland and South-Coast.